9 January 2019 – Under a management franchise agreement*, Millennium & Copthorne Hotels’ (M&C) Millennium Hotel London Mayfair, which was closed for renovation last year, will reopen as The Biltmore, Mayfair under Hilton Worldwide Holding’s new LXR Hotels & Resorts luxury hotel collection. This will be Hilton’s first European hotel under its LXR collection in London. The refurbishment, which is estimated to cost approximately £50 million, started in November 2017 and the hotel was closed entirely at the beginning of July 2018. The luxury hotel, situated in a prime location in the heart of Mayfair on Grosvenor Square, will open for business in Spring 2019. 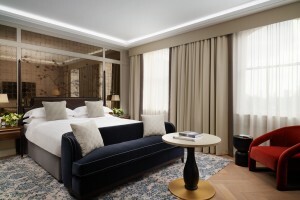 The hotel will offer 257 luxuriously appointed guest rooms, many with views over Grosvenor Square, as well as 51 highly-curated and beautifully designed suites, which will reflect the property’s origin as a sophisticated and elegant London private residence. M&C is among the largest companies listed on the London Stock Exchange and was ranked 41st largest hotel group in the world in 2017 under the 325 Hotels List by HOTELS Magazine. M&C is the hotel arm of property giant City Developments Limited (CDL). Both M&C and CDL are members of Hong Leong Group Singapore.